The Lullaby Trust are the only charity in the UK dedicated to raising awareness of safer sleep for babies. Our activities benefit every one of the 700,000 babies born annually in the UK. Our commercial partnerships play a vital role in helping us continue our lifesaving work. By partnering with The Lullaby Trust, your company can secure its legacy as a key partner in the fight to tackle SIDS and save babies’ lives. We only partner with companies that are committed to safety and produce products that align with our safer sleep guidelines. An association with The Lullaby Trust will help you stand out from your competitors as a brand that goes above and beyond. Our partnerships help establish brand’s as the market-leader in safety and quality in their product category. 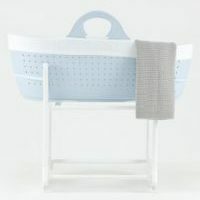 By partnering with us, prospective customers can easily and simply identify your product as an option that will help them follow advice on how to reduce the risk of SIDS and create a safer sleep environment for their baby or toddler. 94% of new parents surveyed said that they worried about the safety of their baby while their baby slept. 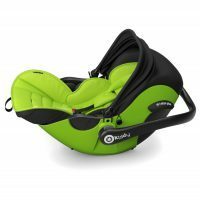 In addition, ‘complies with safer sleep advice‘ was rated as the most important feature by parents when choosing a sleeping product for their baby or toddler in a recent survey. Through our information helpline and our training staff, we receive thousands of inquiries every year from anxious parents looking for advice on baby sleeping products. 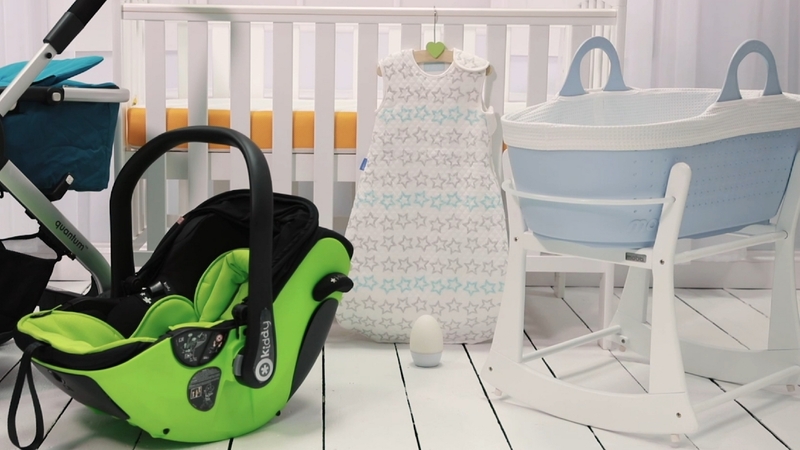 Aligning your brand with The Lullaby Trust through a commercial partnership clearly demonstrates to new parents that your product is a safer sleep option. What’s involved in a commercial partnership? Our scientific advisers and safer sleep experts assess partnership products according to evidence-based advice on products, before the outset of our commercial partnerships. As a result, new or expectant parents in the process of choosing sleeping products for their baby can be confident in the quality and safety of a product displaying The Lullaby Trust logo. Our partners are often as passionate as we are about supporting parents and spreading the ‘Safer Sleep for Babies’ message. 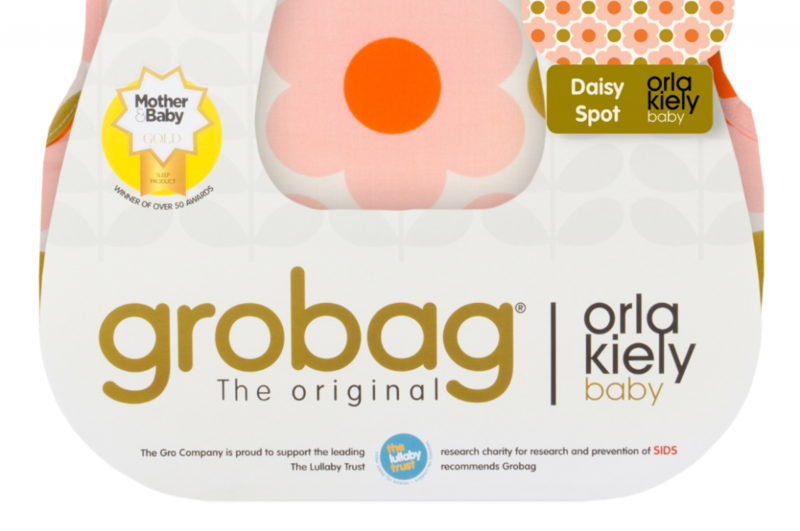 Through positive PR activities in conjunction with The Lullaby Trust, our partners have established themselves as trustworthy and responsible brands that are leading the way in providing safer sleep options for new parents and have a loyal customer base as a result. 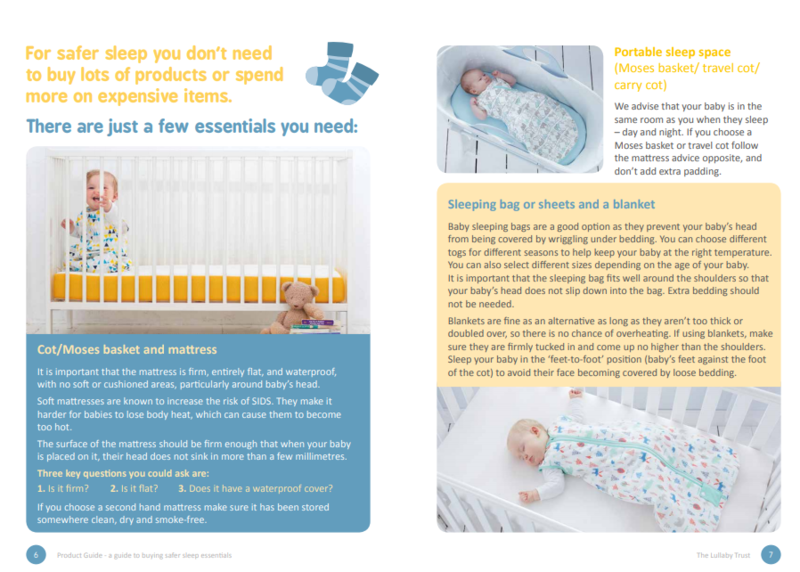 For example, we recently produced a simple and easy to understand Product Guide to help new parents when choosing sleep products for their baby. We used our partners products to showcase examples of options that fulfill the criteria for our safer sleep guidelines. These guides will be distributed to parents and anyone involved in the care of a baby via health visitors, hospitals and our partner companies. View the guide here. Supporting a charity at work helps engender a sense of purpose in the workplace and has been proven to boost staff morale. It can help create an appealing work culture for attracting and retaining staff. Our cause is a fantastic way to unite your team around something everyone can feel passionate about since many of your staff will be parents, grandparents, aunties and uncles themselves. Our commercial partners support our work through financial contributions and by participating in our awareness raising activities and campaigns. We know that every company is unique and as a result each of our partnerships are unique. We endeavor to tailor partnerships to our partners business model and target audience. The financial contribution made by each partner will vary according to the nature of the partnership and the size and capacity of the company. We hugely value our partners and are pleased to have established a portfolio of long-term, mutually beneficial partnerships that make a significant contribution to both parties strategic objectives. Please note, The Lullaby Trust receives financial support through our cause-related marketing partnerships however our relationship with our commercial partners in the nursery industry does not in anyway influence our safer sleep advice, which is informed by scientific research. Funding from companies helps us to provide free safer sleep advice and support bereaved parents. We only associate with companies that support our safer sleep message and produce products that we consider to be safe.